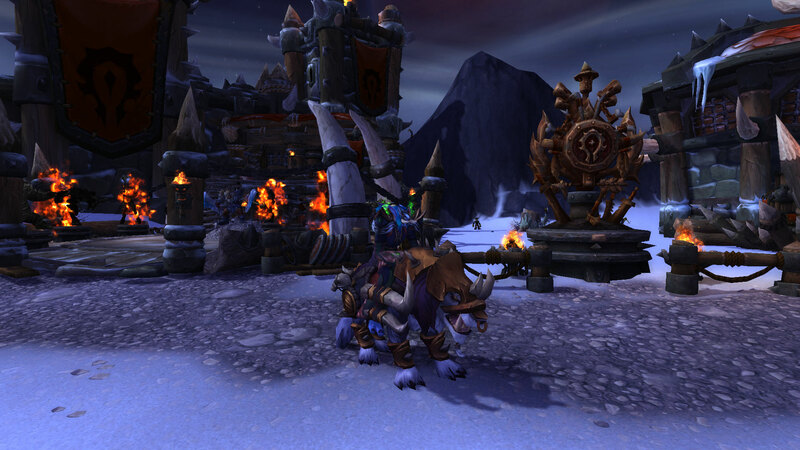 Five thousand Alliance have fallen before me in battle on Draenor, earning me the Defender of Draenor achievement. A monument now commemorates this, standing next to my Gladiator’s Sanctum! Speaking of the Gladiator’s Sanctum, I finished Nemesis: Worgen Hunter this weekend and have continued to Nemesis: Draenei Destroyer. I have four more races to slaughter, counting the draenei. I also became exalted with Vol’jin’s Spear. It was a productive weekend. I fight Horde in the free-for-alls too!